My love for flavored vodka is endless. It is honestly one of the best ways to drink a cocktail if you are watching your weight. Drinking any of the great Smirnoff flavors with water is delicious and low calorie. Also, as you are drinking water, you are hydrating thus lessening chance of a dreaded hangover. Genius, right?? I was still celebrating last year's launch of Smirnoff's Iced Cake and Kissed Caramel flavors and when I saw this post of their Facebook, I was instantly hooked! Muddle mint in Maple syrup, add vodka, bourbon, and crushed ice. 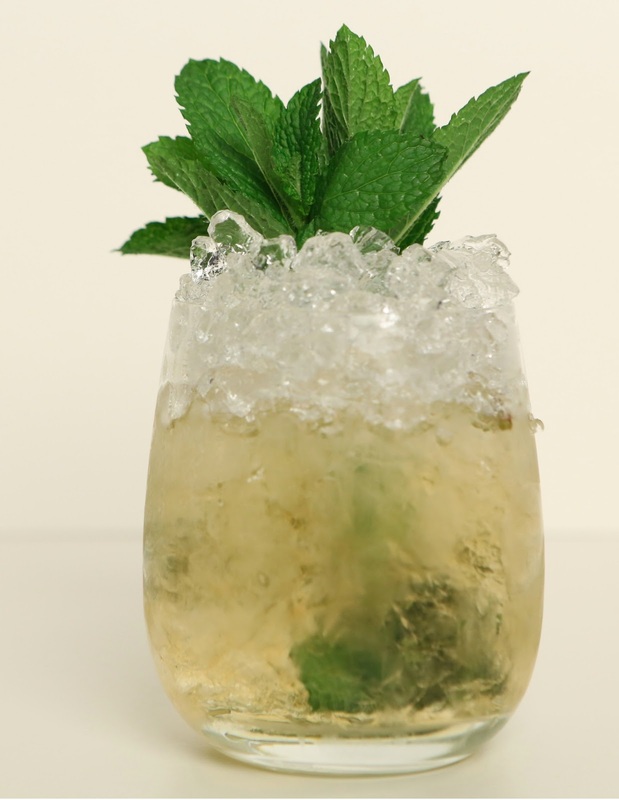 Garnish with Mint Sprig Bouquet. selling flavored vodka portfolio, which includes Kissed Caramel, Iced Cake, Whipped Cream, Marshmallow,Peach, Watermelon, Passion Fruit, Strawberry, Cranberry, Vanilla, Raspberry, Citrus, Orange, Blueberry,Lime, Melon, Pear, Pineapple, White Grape, Cherry, Espresso, Root Beer, Pomegranate and Green Apple. Also, coming up that I can't wait to try is the three flavors were introduced this week that are perfect for a bride like me that is watching her waistline. 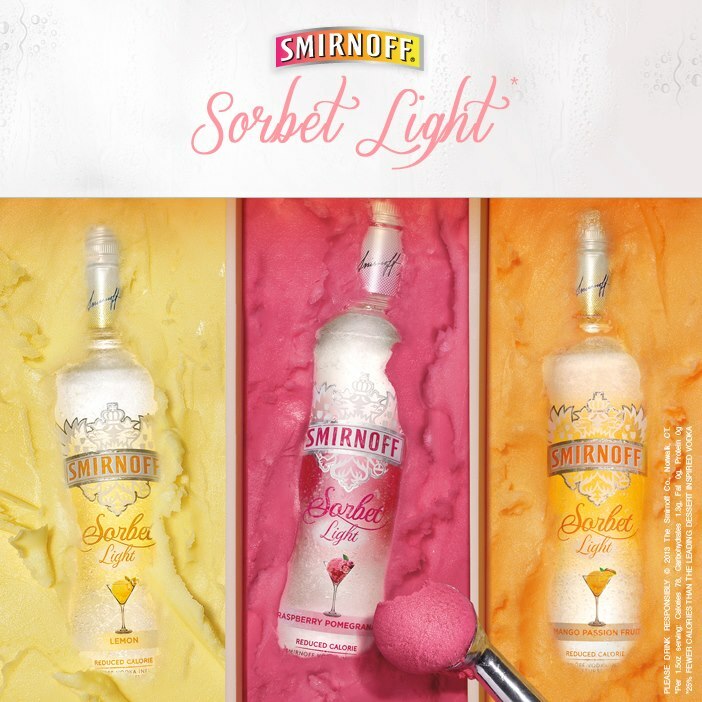 SMIRNOFF Sorbet Light!!! The new cocktails: lemon, raspberry pomegranates and mango passion fruit are advertised as "a reduced-calorie, natural flavor, and refreshingly light tasting." This new line of vodka specialties is 78 calories per 1.5 oz. serving and creates scrumptious, light-tasting cocktails.